Rubber band wars have been a source of fun among students for quite some time. This guy has taken the idea to an entirely new level! 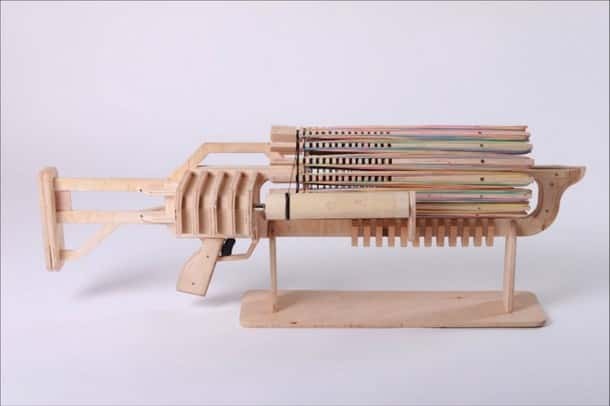 This rubber band machine gun is capable of firing 14 shots per second. 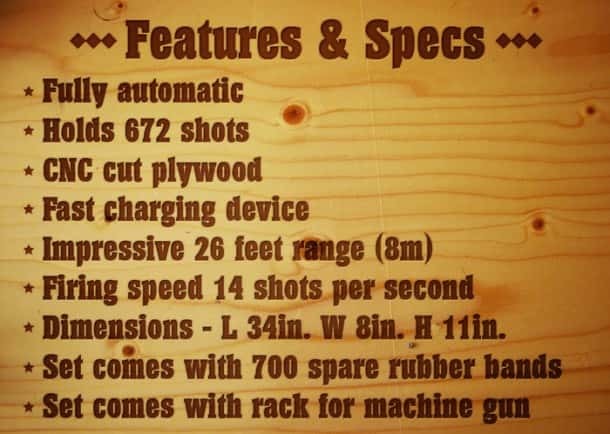 It features 16 barrels and it can fire up to 672 shots at a distance of 8 metres. 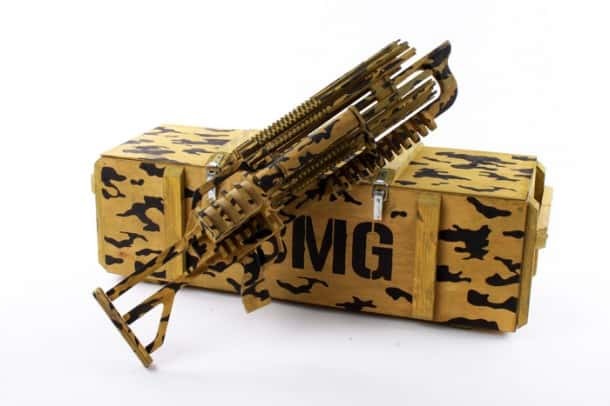 With this cool weapon you can be sure to always come out on top during any rubberband flinging contest! It has been created using birch plywood and is available in three different colors. It has an electric motor which reels off the string that pulls the rubber bands off one by one causing them to launch. To operate the gun you wind the string onto the drum of the gun and then fire. The gun was created by an 18 year old student named Alex Shpetniy who spent a year developing it. It is expected that it will be offered for sale at a price of approximately $140. The project was funded at kickstarter so it will be in production, hopefully very soon. 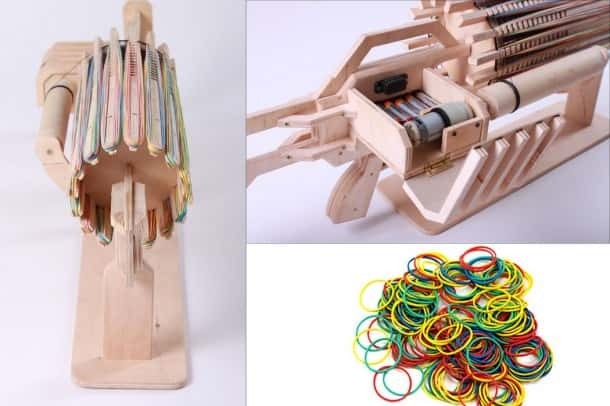 With this super cool gun on your side you will never lose a rubber band battle again!